Wheel balancing is extremely important for any car, having unbalanced tyres can cause premature tyre wear. 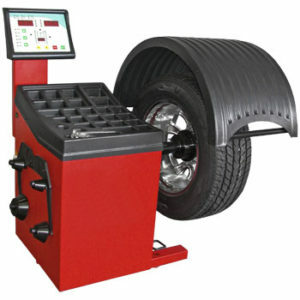 In addition to providing a smooth ride, wheel balancing is a key component in tyre wear. Maintaining the tyre balance on your vehicle is critical to receiving satisfactory service from your tyre investment. Continental Murrumbeena offers high-quality wheel balance to extend the tyre’s life. Learn the difference between wheel balancing and alignment. Call us on 03 9579 0007 or leave us a message. Our service areas include Murrumbeena, Hughesdale, Malvern East, Chadstone, Oakleigh, Bentleigh East & surrounding suburbs. Are your tyres too noisy? Have you replaced or rotated your tyres recently? You may be one of the thousands of motorists who require a wheel balance. The wheel balancing system used by Continental Murrumbeena is technologically advanced to provide the optimum wheel balance for your vehicle. Unbalanced wheels cause annoying steering wheel and seat vibrations and can lead to increased fuel consumption. Can you remember how comfortable and quiet your car was when it was new? That was because the wheels were fitted using professional balancing procedures, at the factory, before delivery of your vehicle. We offer the same balancing services in store, to increase your family’s safety and your driving enjoyment. Wheel balance is essential for safe driving. Only perfectly balanced wheels will give you the assurance that you can keep control of your vehicle even when things get critical. Improperly balanced wheels reduce road holding ability and also increase wear of shock absorbers, struts, and suspension and chassis components. If you are unsure whether your wheels need balancing, call us to book in for a free tyre inspection today.